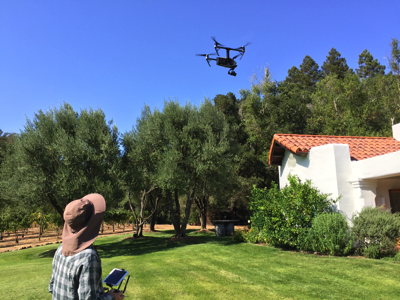 Our courses are designed for individuals who want to prepare for the current commercial drone industry. Today the FAA requires remote pilots to meet specific knowledge and skill requirements. We offer options for beginners and advanced pilots alike. Learn from highly experienced industry professionals, in a friendly, stress free environment. This one-day course teaches you advanced aerial photography and videography. All classes are taught by working professionals. Learn what it takes to get great shots for clients like Discovery Channel and National Geographic. Practice specific moves and techniques that are used on set and get real-time feedback from our experienced staff. Our program is founded on years of experience and combines’ technique with knowledge and situational awareness. This is a must for anyone taking aerial photography or videography seriously. This one-day course teaches you all about GIS. You will learn everything you need to successfully collect usable data on your flights. We’ll guide you through planning and flying successful operations, programing flight patterns, achieve correct altitude and utilizing specific camera settings. We’ll teach you what to do with data once collected and how to turn it into an Orthomosaic, DSM or DEM while becoming knowledgeable and confident in offering your specialized services. 1. If you do not pass your Airman Knowledge Test on the first attempt, Drone Universities will pay your FAA testing fees.